Diet-To-Go is a revolutionary meal delivery service that allows you to enjoy a personalized selection of healthy, delicious, and ready-to-eat dishes based on your taste, preferences, and long-term goals. Directly from the company’s kitchen to your plate, these highly customizable, portion-controlled, and chef-prepared meals let you enjoy the food you love and help you reach your dietary milestones one by one. Keep reading our Diet-To-Go review to find out what makes this meal delivery service stand out from its competition. Diet-To-Go’s concept is very simple. 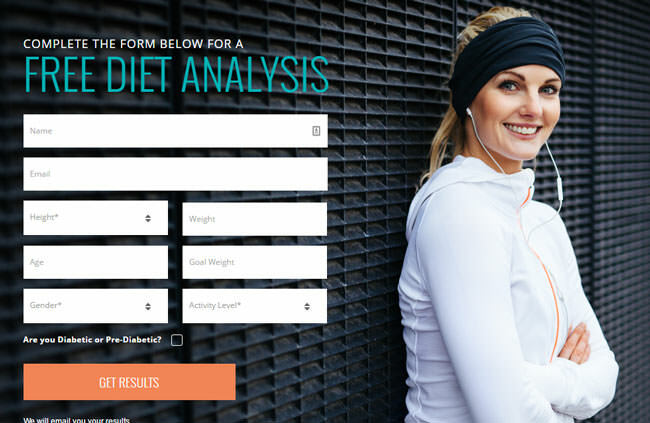 First of all, you are entitled to a free analysis that gives you an assessment of your body mass index (BMI), suggesting one of a number of plans depending on the results. After that, you can customize your menu based on your recommended daily intake of calories or simply order from the existing sample menu. Are you a vegetarian? No problem. You don’t enjoy seafood? Not an issue. You don’t want the full weekly menu? You can order whatever you want! Once you choose your plan, a team of highly skilled chefs, nutritionists, dietitians, and certified health coaches start creating delicious meals that make weight loss actually taste good. Many things! The entire team of Diet-To-Go is there to help you succeed in your weight loss efforts. Along with professional support, Diet-To-Go offers additional resources to help you on your way. On top of everything, the company features loads of useful information on its official blog and the food safety section on the website. You can also attend local events organized by Diet-To-Go where you can meet people and discuss particular meal choices and long-term weight loss goals. As we already pointed out in this Diet-To-Go review, this meal delivery service makes weight loss easier than you ever thought possible. Restaurant-grade food spread across four award-winning menus lets you enjoy fully-prepared, great-tasting meals, all while losing weight. You are finally through with stressful meal planning/preparing and spending countless hours shopping for the right ingredients. All that for less than the cost of eating out. It makes a difference, doesn’t it? Also, you can learn a lot about nutrition and how our bodies actually function, so you’ll never again fall prey to advertising campaigns that promote shakes, teas, and other concoctions that magically “burn” calories. All meals prepared by Diet-To-Go are nutritionally balanced, perfectly portioned, and ready to eat. You can choose from 4 carefully designed plans, including Balance, Balance-Diabetes, Carb30-Keto, and Vegetarian. All the meals are rotated on a 5-week schedule, which gives you plenty of time to explore your potential favorites without things getting repetitive. 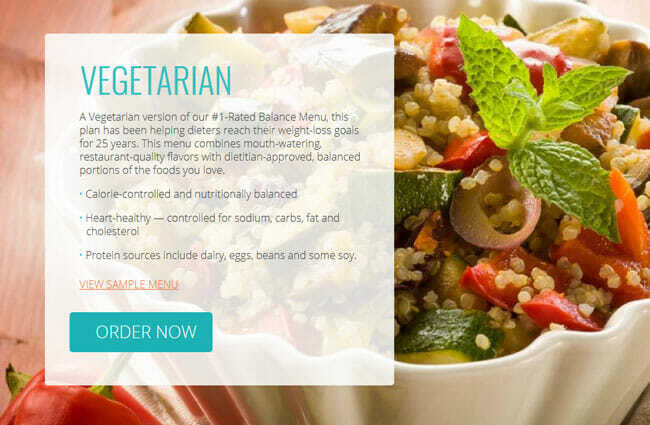 The Balance menu has been helping dieters reach their weight loss goals for 25 years. It is calorie-controlled, nutritionally balanced, and carefully controlled for sodium, carbs, fat, and cholesterol. It is suitable for omnivores and individuals who do not like seafood. 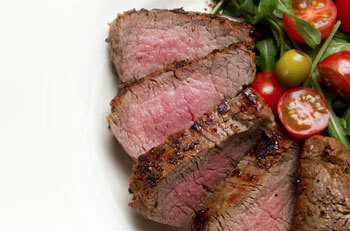 With the Balance meal plan, you can eat between 1,200 and 1,600 calories per day. 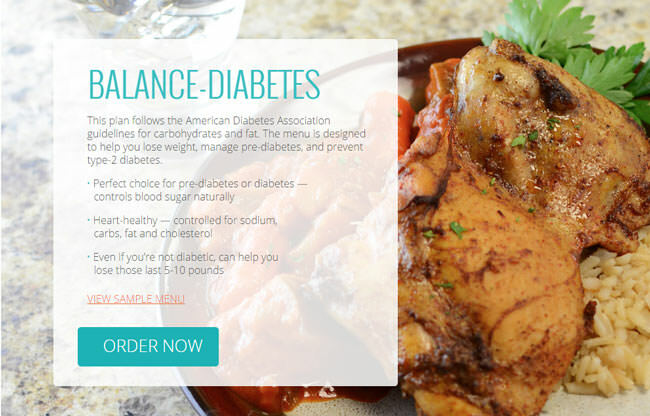 The Balance-Diabetes plan follows the American Diabetes Association guidelines for fat and carbs. It helps you manage pre-diabetes, prevent type-2 diabetes, and lose weight even if you’re not diabetic. The meals available with this plan are designed to help you naturally control your blood sugar and shed pounds at the same time, with no health risks. 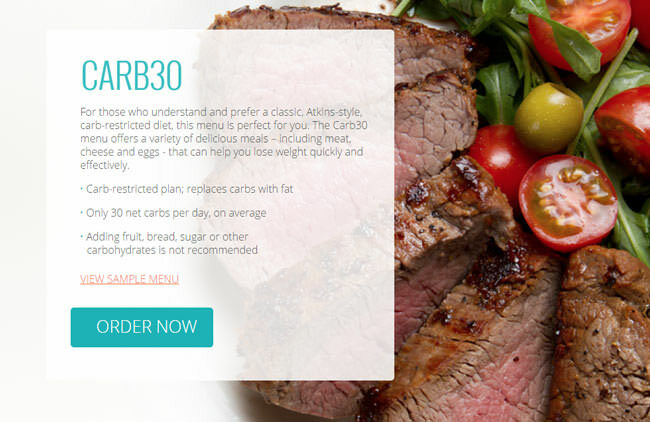 The Keto-Carb30 plan is specifically designed for those who prefer Atkins-style, carb-restricted diets. By replacing carbs with fat and offering a wide variety of meals based on meat, cheese, and eggs, it helps you lose weight quickly and effectively. With this plan, your daily carb intake is limited to just 30 net carbs on average, which makes it a perfect choice for individuals on the keto diet. On average, the meals included in the Carb30 plan have around 1,300 calories per day. 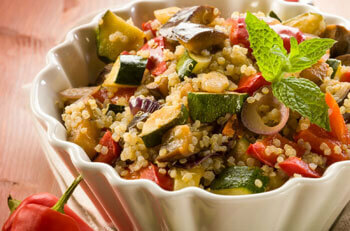 The Vegetarian plan represents a meat-free version of the famous Balance plan. 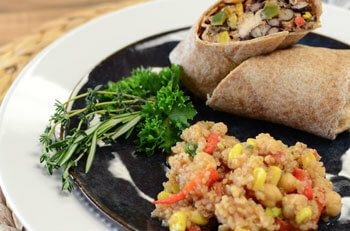 The meals included in this plan are heart-healthy, perfectly balanced, and portion-controlled. They contain limited amounts of sodium, cholesterol, fats, and carbs. They are rich in nutrients and protein coming from healthy protein sources such as dairy, eggs, beans, and occasionally soy. Diet-To-Go dispels the myth that restaurant-grade food and weight loss can’t go hand-in-hand. As already mentioned in this Diet-To-Go review, all meals are prepared from fresh ingredients and promise the best possible dining experience – not only when you’re on your weight loss program but when you just want to stay healthy and enjoy everyday activities with maximum energy. All meals have a 7-day shelf life when properly refrigerated, but if you freeze them, you can extend it to 30 days. Diet-To-Go also provides its users with assorted condiments so you won’t have to purchase anything extra. Whether you need BBQ sauce or light mayo for your sandwichs, light cream cheese for your bagel or jam for a muffin, Diet-To-Go has you covered. Diet-To-Go enables you to customize not only your daily and weekly menus but lets you choose a pricing plan that best fits your budget. There are many parameters that greatly influence your final weekly price. You can choose one of two delivery options. You can either get a once-per-week home delivery, which brings you your entire weekly menu in frozen form, or you can opt for the Fresh Local Pickup option on Tuesdays and Fridays. There are currently more than 200 pickup locations in selected parts of the US. As for the meal options, you can choose one of the 4 menus previously described in this Diet-To-Go review. The next step is choosing between 5 and 7 days per week. With the Balance and Carb30-Keto plans, you can also choose between omnivore and no-seafood options. Finally, you can decide on 2 (no breakfast) or 3 meals per day. The decision, of course, rests solely on your personal preferences. The price you pay depends on the meal plan you choose, the number of days per week, and the number of meals you want to receive per day. 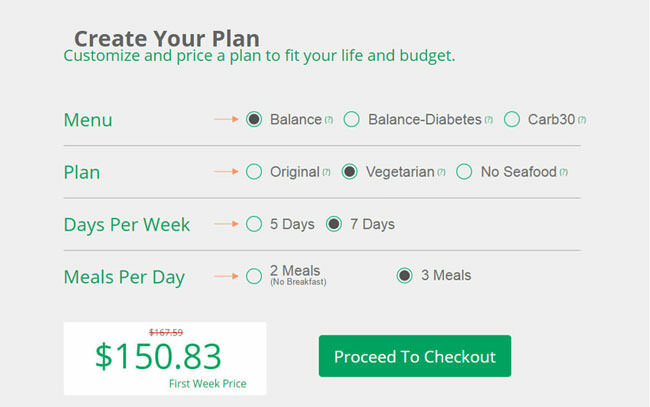 With the Balance, Balance-Diabetes, and Vegetarian plans, the price per day ranges between $18 and $24. With the Carb30-Keto plan, you pay $21-$26 per day, depending on how many meals per day you order. The average price per meal is around $7, which is quite reasonable. Diet-To-Go provides you with two delivery options. Although focusing on fresh meals, the company also provides a weekly delivery of frozen meals for the mainland United States. Weekly shipping costs amount to $19.98 for all plans. The service is provided by FedEx, so it’s currently unavailable in Canada, Alaska, and Hawaii. You can collect your fresh meals twice per week, on Tuesdays and Fridays from 5 pm. To make sure Diet-to-Go meets all your standards and expectations, it is important to know its biggest advantages and disadvantages. With a short overview of its pros and cons, you can easily decide if Diet-to-Go is the right meal delivery service for you. 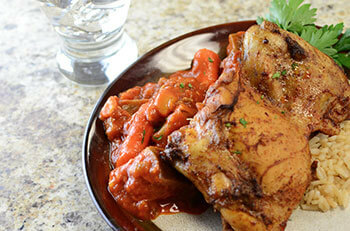 Diet-to-Go provides its happy customers with finger-licking chef-prepared meals that can suit virtually any taste. With this meal delivery service, you can enjoy restaurant-grade dishes in the comfort of your own home without breaking the bank. Take a look at our curated selection of Diet-to-Go meals to get a glimpse of the delights that await you on its menu. When it comes to deciding about using one meal delivery service or another, weighing all the available information is what makes the difference. 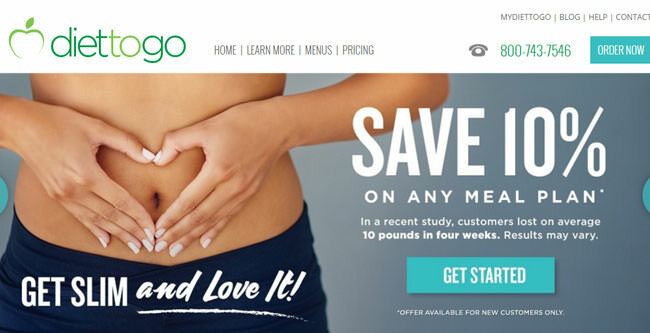 While working on this Diet-To-Go review, we felt fairly certain that our positive experience would encourage even more people to try this amazing brand. We all want to eat delicious food, stay healthy, and enjoy our lives to the fullest. Diet-To-Go offers that in an all-in-one experience – awesome recipes for tasty meals, healthy ingredients, and calorie-controlled portions, all designed to suit your personal preferences and lifestyle. Choose your menu, choose your plan, and start the weight-loss journey you have always dreamed of. Our ratings are the result of an objective and independent evaluation of Diet-to-Go, generating the final rating that reflects the overall quality of the company. Ratings may change as the service changes. Diet-to-Go customer rating based on 8 customer reviews. Meals are healthy and the plans are great. It helped me get in shape in a month, but I’ve combined Diet to go meals with the gym, of course. I just have to say that the food isn’t salty at all, so you must add a pinch to make it taste better. 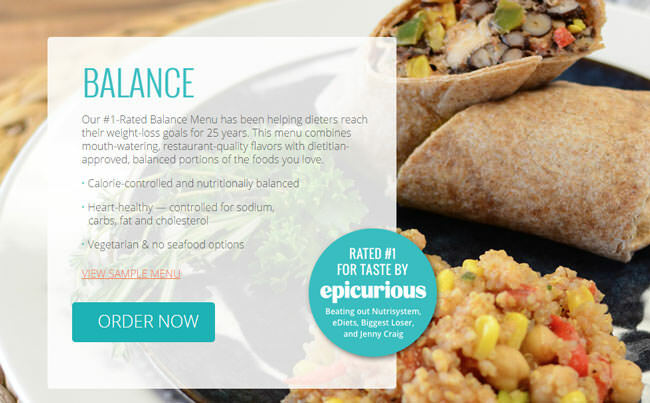 Diet to go Balance menu – yum! Made my life so simple and happy! I order regularly and always get all 3 meal. I’ve managed to lose weight so quickly that my friends keep betting that I’ve have stopped eating. But no, I’m just following great plan from Diet to go! I was a bit skeptical at first and it took me long to try this one out. It's all there - healthy meals, fresh ingredients, it even looks awesome when you eat it (unlike many takeaway meals). But when I took another look at the price, I started thinking again. Sure, you get what you paid for, but you can always pay less. It was always difficult to find the optimum balance of caloric intake when you're trying to lose weight. Then a friend of mine recommended this to me. In less than 15 minutes I was able to choose a perfect program that helped me lose those extra few pounds in a matter of weeks. Now I'm just trying to maintain my shape so I don't fall in my daily activities, and Diet-to-Go is there for me. We found 1 verified Diet-to-Go discount for April, 2019. 10% OffGet 10% off Your First Week! 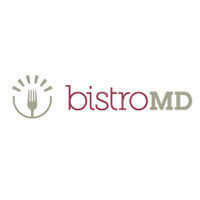 Sign up and we’ll let you know about future Diet-to-Go promo codes. If you like Diet-to-Go but aren’t sure whether they are truly the ideal choice for you, you may want to take a look at our comparisons below to discover if one of their competitors is more suitable for you.